In a bid to ensure safety to workers, the Minister for Municipal Administration and Urban Development (MAUD) launched the Enforcement Vigilance Disaster Management (EVDM). 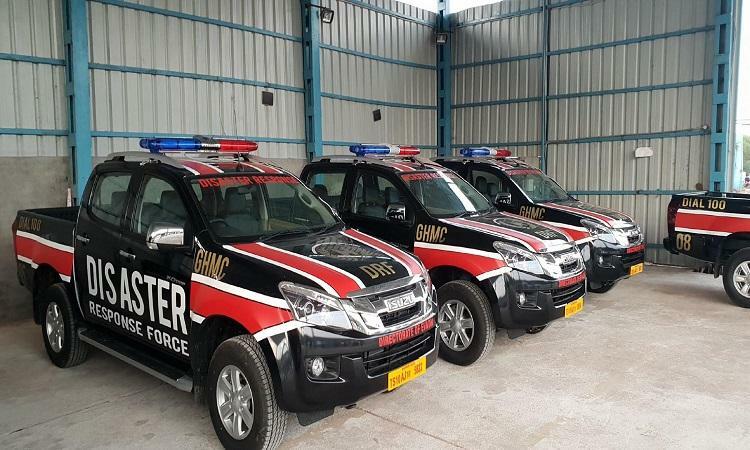 It is supported by 120 staff members and has made Hyderabad the second city after Mumbai in the country to have a Disaster Response Force. Also, an Enforcement wing with staff 250-300 will be established by Greater Hyderabad Municipal Corporation (GHMC). Chief Minister K Chandrashekhar Rao has given the green signal to set up more zones in GHMC for decentralising the administration and imparting quality service to citizens. “After serious discussions with elected public representatives, the measures will be initiated,” averred Minister KT Rama Rao. Besides, acknowledging safety as an important parameter, MAUD minister has announced to install 10 lakh CCTV cameras under Safe City initiative across the city. Four lakh surveillance cameras have already been installed in different areas of the city, conveyed the minister.